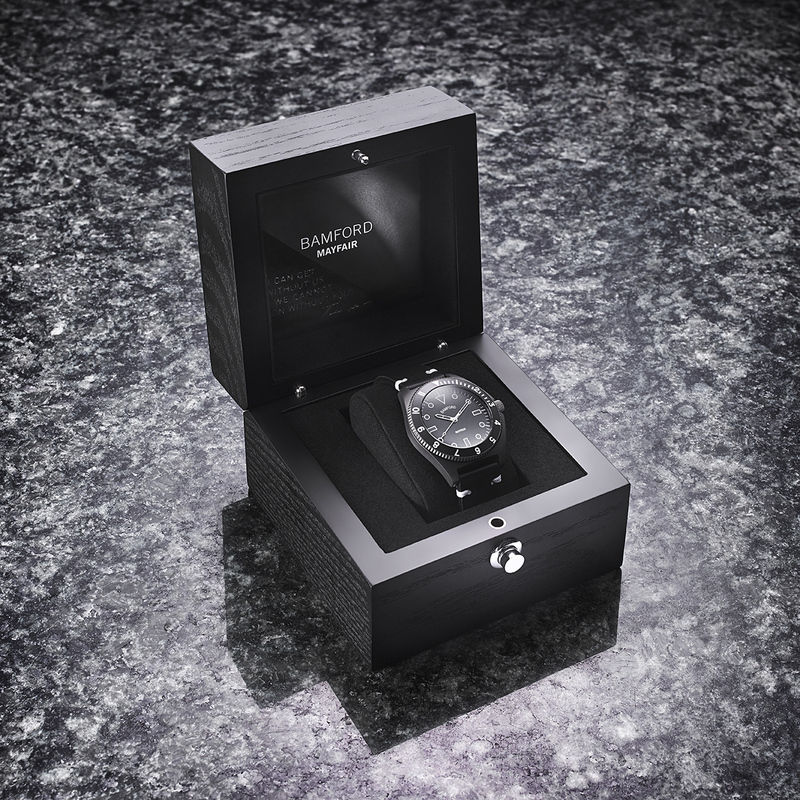 Bamford Watch Department was born out of the idea to be unique, distinguishable but most notably wearable. The core to this wearable element are the customisation options that allow their clients to curate distinctive timepieces. Yet what is not always spoken about is the temporary ‘service watch’, that is handed to the client when they take their initial watch in for bespoke customisation. Although subtle these ‘substitutes’ ended up gaining appreciation from the wearers in the interim, with some even asking to purchase it on returning it back. 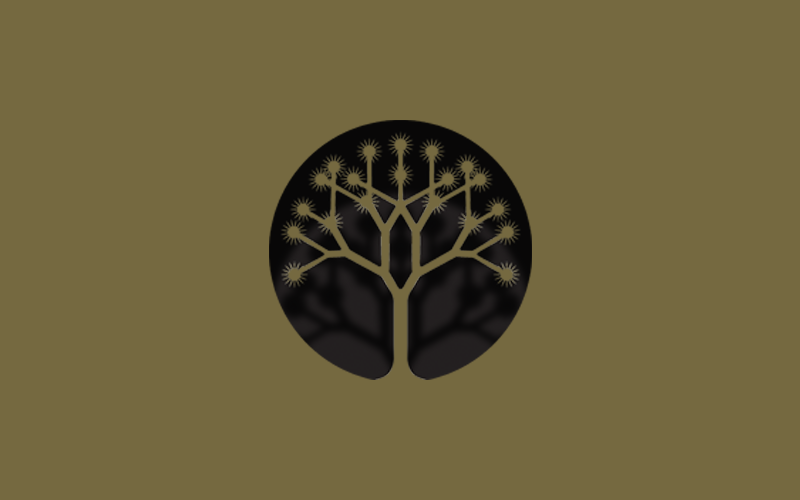 George Bamford found that so many clients were happy with this option that it inspired him to bring it to fruition. 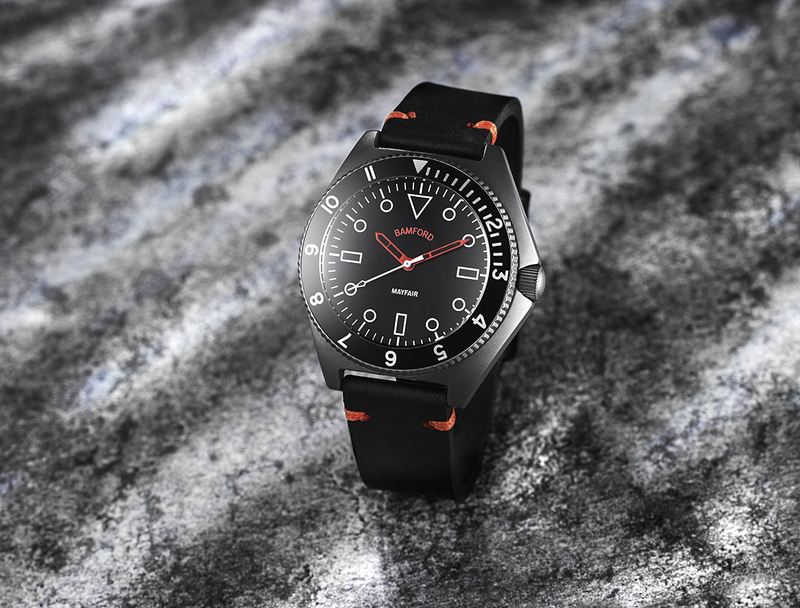 Entitled the Bamford Mayfair, the range of watches is available in a variety of combinations which vary in dial colour, bezel, coating and type of strap. 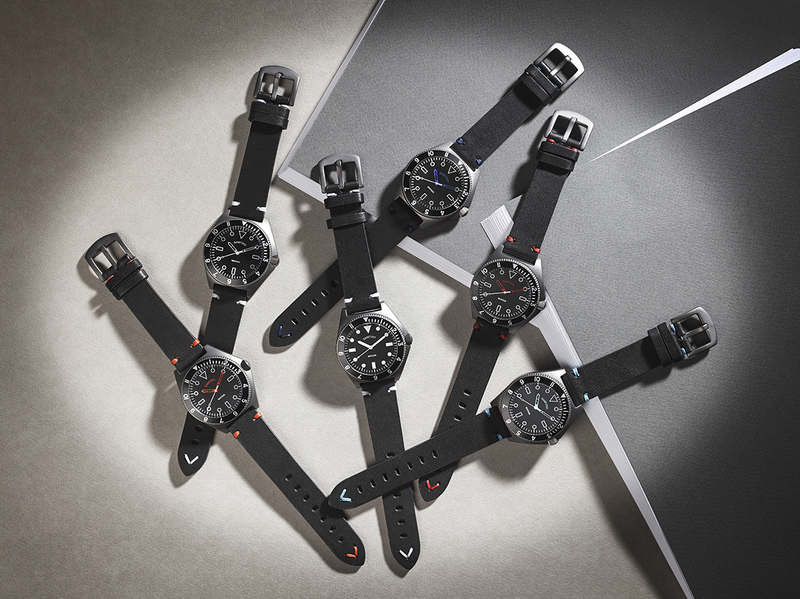 Stylistically they vary from a clean matte black composition to contrasting blue face option with rubber strap. Being Bamford Watch Department these formulations are by no means set in stone. 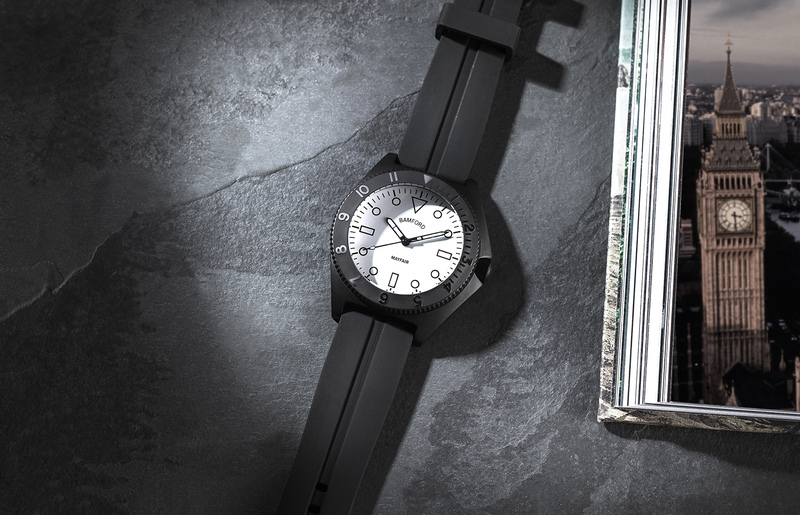 Each watch comes with the option of a unique strap and the ability to add personalised text on the caseback. 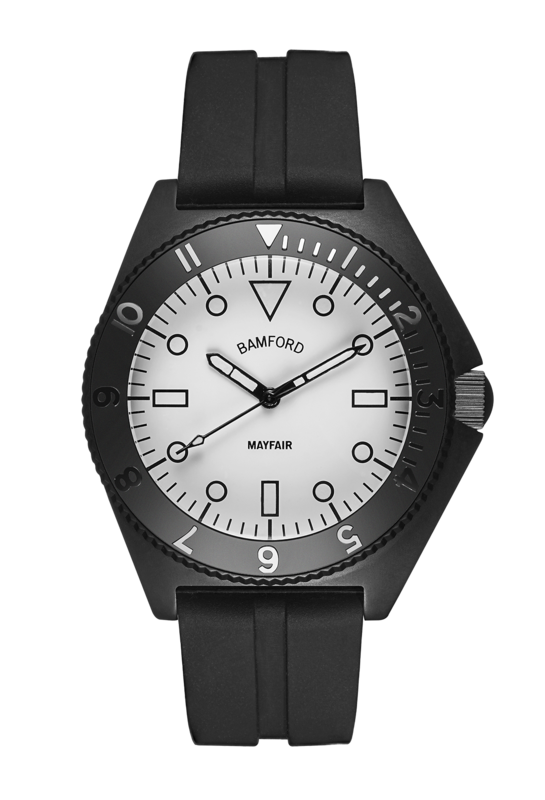 Technically the Bamford Mayfair range also features a robust movement in the form of the Quartz Miyota 2035 which is incased within a stainless steel environment. These play host to LumiNova within the mineral curved glass. While still maintaining the signature details that have made Bamford Watch Department iconic in their field, the accessibility of the range also opens the doors for new tastemakers to explore the world of luxury watches.